So apparently, FedEx Ground (purple and green logo) is franchised, while FedEx Express (purple & orange) is corporate run. This can lead to FedEx more or less competing with itself. This is already silly but it gets even weirder where I live. There is no Ground depot here. Ground packages come in on the Express plane, and Ground picks them up at the Express depot. Again, a bit unusual but that’s not the main reason behind this post. There are a massive amount of rough dirt roads here. Express does not allow its drivers to take their big shiny new trucks down them. Ground uses smaller, older trucks and is able to make the rural deliveries. So, Express offloads their undeliverables onto Ground and pays them for their efforts. 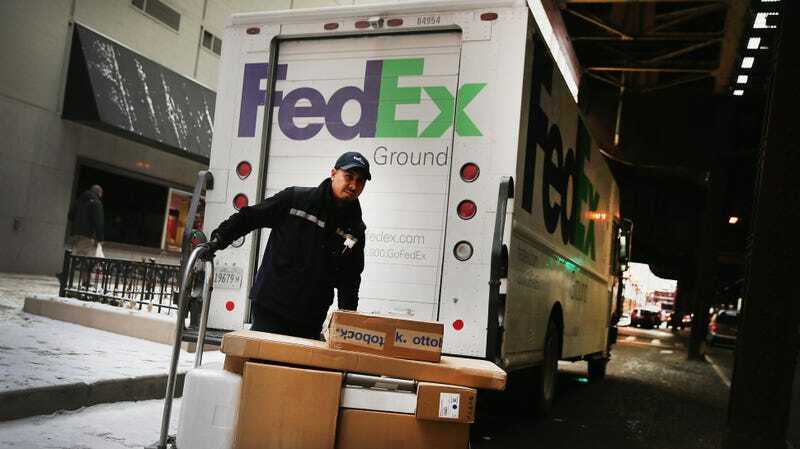 FedEx contracts out to itself to deliver packages.